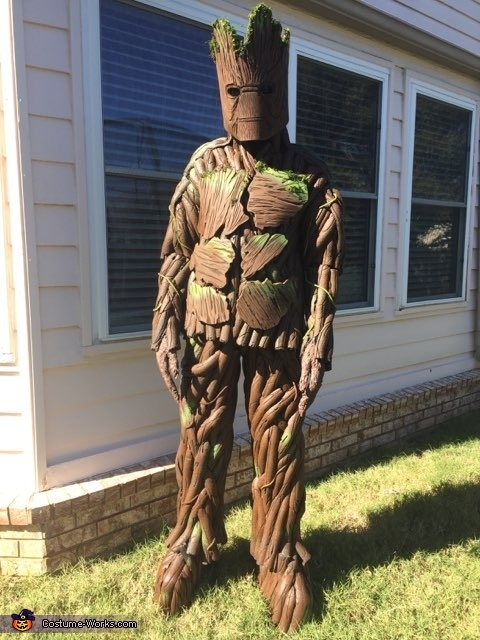 My costume is Groot from Guardian of the Galaxies. I am wearing my costume. My mom and I made it and it took nearly 2 months. It is predominately made from foam insulation and foam floor pads. We used a dremel for all details, brown caulking for the hands, and lots of hot glue and paint. The shoes are multiple pieces of 2x4's. It cost roughly $150.